This Bathroom Is Nothing But a Glorified Tuna Can! Very elegant and unique choice of color and bath fittings to match the walls giving it a fresh natural look. 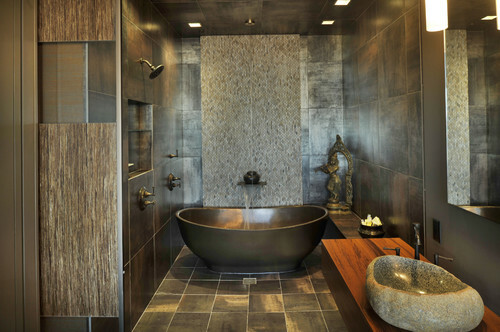 Very nice looking bathroom interiors.